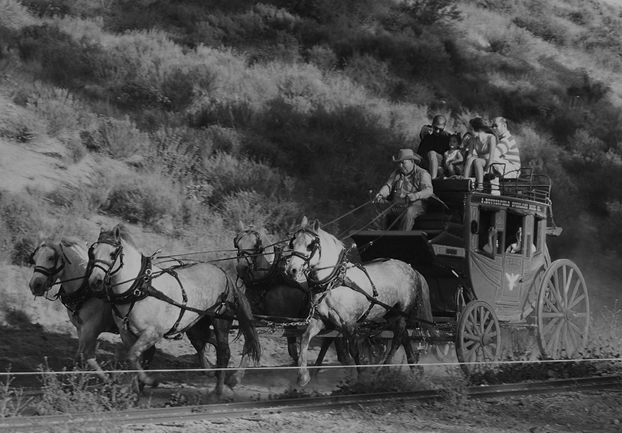 Ride through monetary history at Wells Fargo. From exploring an interactive telegraph to climbing aboard a frontier stagecoach, uncover the history of the Gold Rush and the riches of California throughout history at the Wells Fargo History Museum, on South Grand Ave in Los Angeles, from 9am to 5pm this Monday. ATTDT is your unique local guide to things to do, see, visit and explore in Los Angeles. From arts and culture to events and entertainment, we've got Monday in Los Angeles covered. Each Monday we've got things to do for an amazing start to the week. Note: While events and activities are featured here because they should be on and open this Monday, changes can happen - you can use the headline link on the thing to do above to find out up-to-date information. Check before you travel. "How can I start the week with amazing things to do?" "What's on this Monday in Los Angeles?" Sounds familiar? Then you need ATTDT: suppliers of #MondayMotivation each and every Monday. You've reached ATTDT, your unique curated guide to the very best of what to get up to this Monday in Los Angeles. Start your week as you mean to go on. What's stopping you? Not in Los Angeles? Click on the map to find things to do somewhere else.